Avg. Group Discount of 29.5%! "The staff was very friendly and attentative. This is especially true of the maid service and the kit"
All the staff was helpful and polite and friendly. The rooms were clean. The only fault I could see were 1) no spoons at breakfast and the elevator floors need replaced. Overall our stay was very good and would utilize this hotel again. 02-Dec-2018 Verified Review, stayed from Thu Nov 29 to Sun Dec 02 2018 at a $144.10 average nightly rate. This is our second year coming to Boston with our 8th grade class. We are always treated extremely well. The staff is very friendly and is willing to assist in our needs! Beautiful rooms and very comfortable. We'll see you again next year! 21-Apr-2018 Verified Review, stayed from Thu Apr 19 to Fri Apr 20 2018 at a $189.00 group rate (39% discount). The Hyatt Place - Boston/Medford is located in Medford Square just off Interstate I-93. We are just minutes from Downtown Boston and all your favorite tourist attractions. A favorite of both business and leisure travelers, Hyatt Place Boston/Medford offers guests an attractively designed suite with 25% more space than a traditional hotel room. We provide all guests suites with amenities such as kitchenettes with mini refrigerators and wet bars. Start your day off with our Complimentary Deluxe Continental Breakfast featuring Hot items; egg sandwiches, waffles,French Toast and Pancakes, along with Fresh & Whole Fruit, Yogurt, Bagels & Breads, Hot & Cold Cereals, Danish & Muffins, and Starbucks Coffee,Tazo Tea & Juice. You can relax in our heated indoor pool or work out in our fitness center. Traveling without a Computer? A complimentary Business Center is available with three state of the art computers with Internet Access and Microsoft Suite available. Complimentary High Speed and Wireless Internet Access available in guest suites and the lobby area. Meeting & Banquet space available that can accommodate up to 40 people banquet style & 50 theater style. We offer a Complimentary Shuttle Service to Wellington “T” Station, Davis Square, Tufts University, and several corporate accounts. The hotel has complimentary parking available in our underground parking or in our street level parking lot. (Plenty of Bus Parking) Touring Boston? We have plenty of options available for your day in Downtown Boston. Individual and group sales are available in our Sales Office. Our indoor pool is open between the hours of 6:00AM and 10:00PM. We are pet friendly property; dogs up to 20 pounds only. Pet fee is collected at check in. Logan Airport is 6 miles from the hotel. Local Shuttle Info: Our complimentary shuttle runs from 7:30am until 9:00pm. The shuttle is available to take guests anywhere within a 3-mile radius of the hotel. We offer a free hot breakfast buffet. Including egg sandwiches, waffles, pancakes and French toast. Also included yogurt, oatmeal station, bagels, muffins, breads, fruit salads, whole fruits, coffee, teas and juices. 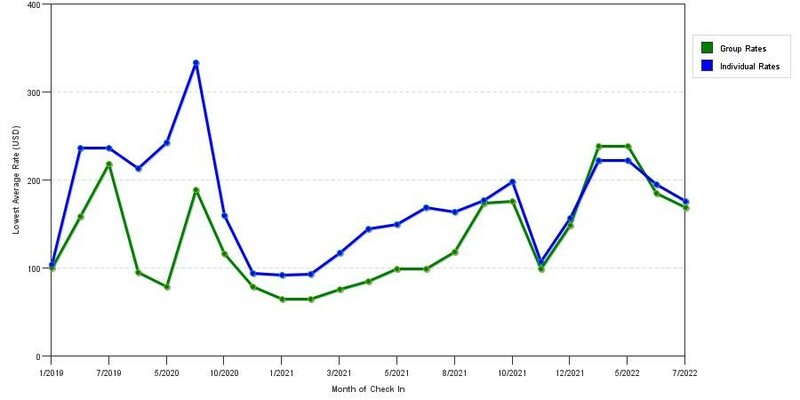 This graph illustrates trends of sleeping room prices for both group/meeting quotes and the most competitive individual traveler prices we could find at the time the group/meeting bid was entered. The most competitive group or meeting displayed is 61.1% in the month of December 2019 and the highest average individual rate is $331 in the month of December 2019. This chart will show past seasonality and also project future months. If you are flexible with dates, you may want to consider staying at Hyatt Place Boston / Medford in a month when rates are lower. 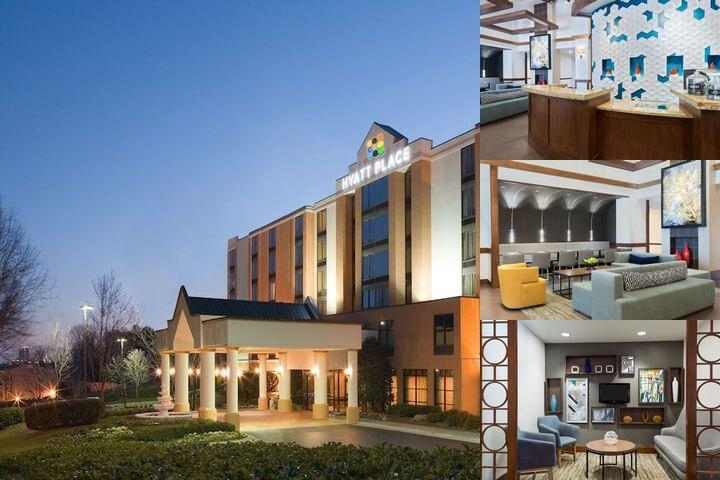 Below are the meeting, banquet, conference and event spaces at Hyatt Place Boston / Medford. Feel free to use the Hyatt Place Boston / Medford meeting space capacities chart below to help in your event planning. Hotel Planner specializes in Medford event planning for sleeping rooms and meeting space for corporate events, weddings, parties, conventions, negotiated rates and trade shows. At the Hyatt Place Boston Medford we do not have a set meeting space rates. The meeting space is based off of the clients needs. We work with all clients budgets and are very flexible regarding the meetings food and beverage needs. Call us to see how we can work with you. 33 x 28 x 10 Ft.
10 x 9 x 10 Ft.
36 x 30 x 10 Ft.